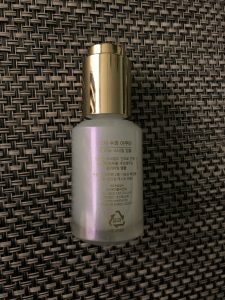 MISSHA Super Aqua Cell Renew Snail Ampoule is a new product from MISSHA from their snail series that that I’ve been looking into lately. I’ve decided to try it out and see what results will I get from it seeing how many positive reviews are out there especially from people with oily and acne prone skin. I’m glad it didn’t disappoint me! 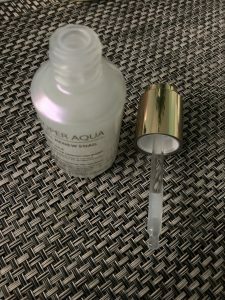 I’ve tested this ampoule for full 2 weeks, letting my Borabit Ampoule silently cry on the shelf (sorry babe, I love you but girl has to try something else for a change). It performed equally well and I am very satisfied with the results. The Cell Renew Snail Ampoule is one of those products with very girly, lux iridescent packaging and is pleasant to look at. I do keep mine in the fridge for the sole purpose of using this serum as a refreshing goodness on hot evenings. What strikes me the most is how economical it is in use. The golden pipette on this is very small and has a button on top. Pushing it allows the product to be pulled into the pipette and if you push it again it will release it’s contents into your hands or onto your face. Despite the fact that pipette is getting only half filled with product, it is exactly the right amount to apply on my face. The serum has little to no smell. It is fresh and light and I can not pinpoint what particular perfume ingredients are used in it. 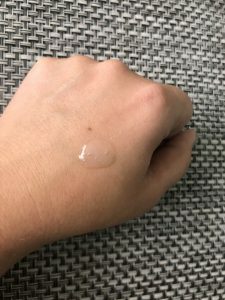 The consistency is semi-transparent serum that at first feels oily and gliding, but then it is quickly sinking into the skin. I presume that is the famous snail mucin that acts like that on the skin. Once applied it is absorbing fast leaving my skin looking more radiant. 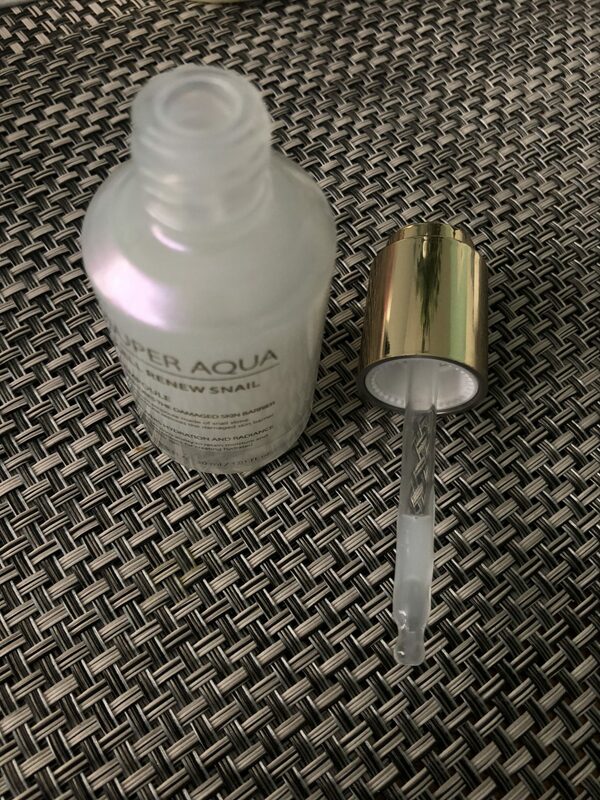 When testing it out, the only other product that I used in my evening care was my Super Aqua Mini Pore toner. 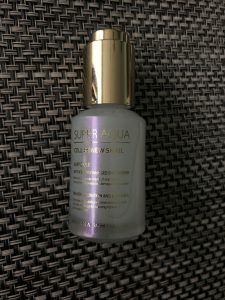 I didn’t feel like my skin needed any cream after this serum. Last few days I was layering my sleeping packs over it to see if it would cause any breakouts. Also nothing which is a great news for colder months! What can I say for the 2 weeks of use? My skin is definitely more firm and has less texture to it. I had some small milia breakout situation on my chin right before I started using this ampoule and it was completely gone in 3-4 days. 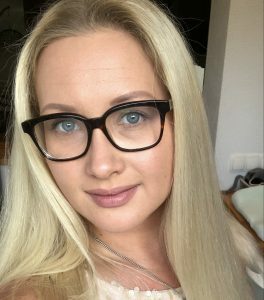 I do notice that my skin got firmer and started producing less oil. I need to blot it once a day nw instead of 2-3 times. It is definitely doing a great job. I looked up the ingredients and was shocked. 65% of it is the snail mucin filtrate! How cool is that? It is also the 1st ingredient on the list meaning there is no hoax with it having water base with 2 drops of mucin diluted in 10 liters of water. The concentration of 65% is truly remarkable. The minus points on the ingredients are for the alcohol (10th on the list) and silicone(11th on the list) ingredients. Be careful if you have sensitive skin !!!! Still, seeing how my skin has changed over the past 2 weeks, definitely worth buying again!